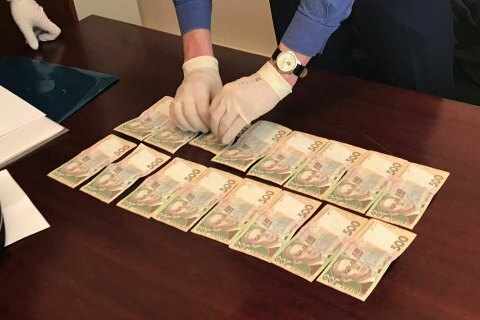 The SPF officials extorted 32 thousand hryvnia from a businessman. Prosecutors on 11 April busted on a bribe the head and deputy head of the regional branch of the State Property Fund of Ukraine in Kyiv Region, Prosecutor-General Yuriy Lutsenko wrote on Facebook Wednesday. "The SPF official demanded and received 32 thousand hryvnya from a private entrepreneur in illicit benefits in exchange for a certificate about the absence of debt before the SPF regional under a state property rent contract," wrote the chief prosecutor. Earlier, an SPF official in Ivano-Frankivsk Region was caught as he extorted 150 thousand dollars in bribe from a Kyiv businessman for the reduction of the value of a state-owned property put up for sale.